Derby-based Pentaxia is set to expand, with more than 20 new jobs in the pipeline, and a move to 70,000 ft2 of new manufacturing and high-quality office space later this year. The family-run, advanced composites manufacturer, which celebrated its ninth anniversary in May, has grown by more than 60 per cent during the past twelve months, following a rapid increase in demand for lightweight, high-performance components from its blue-chip customers in the aerospace, automotive and motorsport industries. Managing director Stephen Ollier said: “We’ve been very happy at Longbridge Lane and it’s been an exciting journey. We’ve built a strong management team who are keen to expand in order to meet growing demand from our customers. We’ve had an offer accepted on a new site on the north side of Derby City, quite close to our current facility, which will provide us with triple our current production space so we can continue our rapid growth. More importantly, the site covers 6 acres, which gives us room to expand even further in the future; possibly doubling the space again. It will also allow us to concentrate all our operations under one roof, significantly improving productivity. 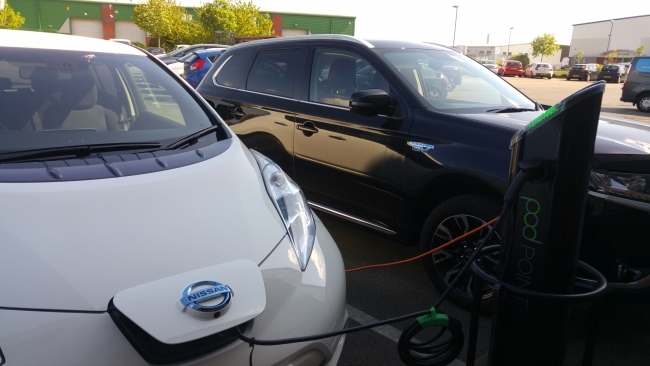 Pentaxia is also driving towards a more sustainable future and is one of the first employers in Derby to install electrical vehicle (EV) POD Points for customers and employees. This investment in green technology demonstrates commitment to sustainability and staff welfare. Two employees have already taken the opportunity to use the POD Point units, enabling them to invest in hybrid vehicles that will improve air quality, cut travelling costs and reduce society’s dependence on fossil fuels. Additional points will also be installed in Pentaxia’s new facility.